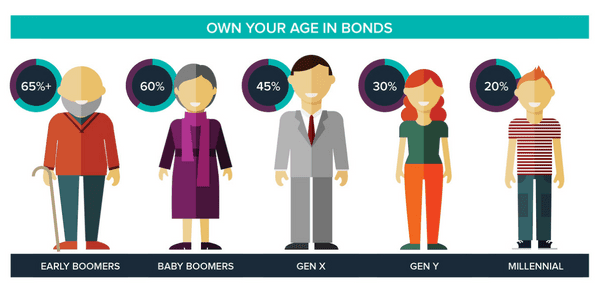 A rule of thumb coined by John Bogle, founder of global asset manager Vanguard, is that your bond allocation should roughly equal your age. While clearly not an exact science, it demonstrates the increasing need for fixed income as we move through life. If, like me, you’re Gen-X or a Baby Boomer, chances are you’ve worked hard and done your best to save for retirement. The great thing about retiring is the chance to move away from full-time work, and finally enjoy the things you’ve never had time to. The downside is that you no longer receive a regular salary. The challenge lies in creating predicable and regular income. Income that can weather difficult market conditions and meet the longevity test, without adding risk to your capital. This challenge is top of mind for a growing number of Australians right now. For many retirees, term deposit (TD) income has become their ‘salary’. Australian household deposits just ticked over $800 billion*, with a large part of this being TDs. TDs are popular because they offer savers less risk than many other investments. For other investors, high-dividend yielding shares are a key source of income. While both are valuable assets in their own right, it’s important to recognise the limitations of each – and how bonds can help deliver that stable, regular income your salary once did. Even for the most ardent equity investor, it has become clear that the halcyon days of the 1990s and early 2000s are over. Recent dividend cuts are not one-offs – Australian share dividends are on the decline. Australian companies have been paying out far more than in other countries and this doesn’t appear sustainable. We shouldn’t overlook the volatility of shares and the intermittent post-GFC series of shockwaves that cause fear and uncertainty every six month (a subject I focused on in my last blog). With share markets, you could decide to wait and find out. If Aussie shares hold up, we’ll be the lucky country like we were post-GFC. But if Australian companies can’t sustain this level of dividends, your shares may tumble, along with the income you want. The question for all of us is “do I want to take this risk?” Millennials may say yes but, if you’re a retiree, or close to it – you can’t afford to be cavalier with your future. Don’t get me wrong – well-selected shares represent a great investment and should form a component of most investment portfolios, regardless of age. But can they be relied upon for regular, long-term, stable income? You may not have the luxury of waiting for your investments to recover in five to 10 years. With dividends also at risk, waiting it out isn’t a sustainable proposition if your income relies on shares. Recognising this, many Australians have turned to the investments that sit below shares on the risk return spectrum. If you have TDs you already have a great start towards achieving a stable income. As per John Bogle’s words, the older we get, the greater our allocation to these sorts of investments should be. But low rates are really hampering the returns TDs can offer. You’ll have watched your TD rates fall further and further over the past few years. I’m sure you’re now wondering is there a way to increase your ‘salary’ without jumping onto the equity or hybrid rollercoaster. Fixed income generally provides investors with more secure and capital stable investments than shares, hybrids, property and other growth assets. But, not all fixed income investments are equal. Government bonds are lower yielding than TDs because they have even lower investment risk. Investors have tended to bypass these, opting instead for higher yielding TDs. However, government bonds dominate key Australian indices that fixed income managed funds benchmark against. Many fixed income ETFs also track these indices. If you own fixed income managed funds or ETFs, chances are you are already invested in low yield government bonds. The funds are safer for having government bonds in them as they are less likely to default, but this takes away from their yields. Corporate bonds generally have higher yields than TDs. There are a number of ways to access corporate bonds, including bond ETFs and managed funds. However, both of these have a key limitation – they do not mature. They are perpetual investments, so you cannot predict the future income and capital you will receive from them – this makes your retirement planning much harder. If you want to control the timing and exact return on your money, looking at individual bonds may be a better strategy. XTBs provide access to senior bonds of top 100 ASX companies. This makes them a capital stable and relatively safe investment. Compared to government bonds, TDs or cash management accounts, XTBs provide the same steady and predictable income but also offer potentially higher returns. Corporate bonds can deliver greater returns than cash, with much lower risk than shares. For example, you might be receiving a return of 2.5 per cent from the bank on your term deposits, but you could get 3.5 per cent from a portfolio of XTBs. It might not look like much at first blush, but that is more than a 30 per cent increase in your ‘salary’. If your money is invested too aggressively in the retirement phase and the share market drops, it will become extremely hard to rebuild your assets. Fixed income can play an important role in generating solid, regular income for investors. It offers strong capital preservation benefits. So, allocating some of your money to corporate bonds can be a great way to safeguard your retirement savings. John Bogle’s rule of thumb is a great place to start. If you’re nudging retirement and are heavily weighted towards shares, it may well be time to balance your portfolio out with a greater corporate bond allocation. 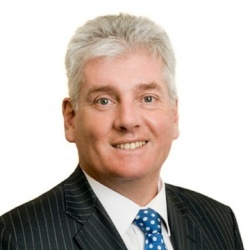 Richard Murphy is the co-founder and chief executive officer of XTB, a company which specialises in exchange-traded bonds.